NIGHTMARE IS OVER. PREPARE FOR CHAOS! Our brand-new difficulty introduces new enemies with each tier. This update adds Chaos I-V with more on the way. Nightmare is gone -- players will enter into Chaos and the Trials after completing the Campaign. Each Chaos tier brings a new enemy. You’ll need to upgrade your gear, equip Shards, and change up your strategy to survive. In the Trials, the Knight Commander assigns you to a defense commensurate with your power. Survive enough Trials at a specific difficulty, and you will earn the experience, gear, and resources needed to survive more dangerous fronts. Shards are upgradeable artifacts that slot into your Relics, Armor and Weapons. Shards give you extra buffs, bonuses and sometimes even new functionality! 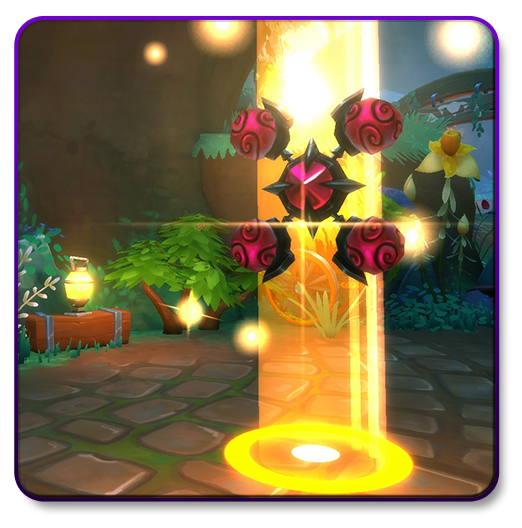 Most Shards can be moved between gear, so no more leaving your Passives behind when you find an upgrade! Weapons, Armor and Relics now have Shard Slots instead of Passives. You can equip up to three Shards on Defense Relics and up to two Shards on Armor and Weapons. Equip Shards from the new Item Enhancement UI in the Inventory. Shards are found in Victory Chests from Campaign and Trials. Some Shards have higher rates of acquisition on different difficulty levels. 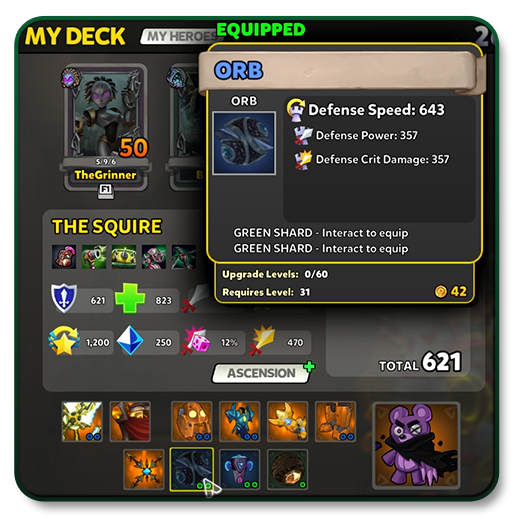 Ascension allows you to infinitely level up past the Hero Level 50 cap! Heroes at the level cap will earn account-wide Ascension XP to gain Ascension Levels. As you level up, you’ll earn points to invest into Ascension Powers. 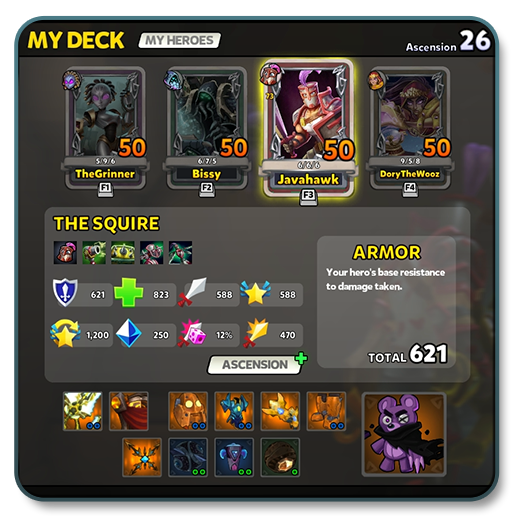 Once you reach Hero Level 50, each hero in your deck gains access to the Ascension Power menu. Here, you can place your Ascension Points into various new Powers. Stats are now passively gained while leveling up to Hero Level 50 and then gained from Ascension Powers. Each bag now contains 64 Inventory slots that can be setup in different ways based on your preference. We’ve added new ways to see all of your bagged loot at once, filter for the items you’re looking for, sort by type/stats/hero, and auto-collect your loot to your liking. WHAT HAPPENS TO CURRENT BAGS? Veteran players will have their items placed into these new bags, and will receive Inventory slots equal to or greater than what they had before. Inventory Pack owners still receive extra space. Take some time to reorganize after the transition, and don’t forget to check the Scavenger! Relics are now Defense Relics and will only have Defense stats. 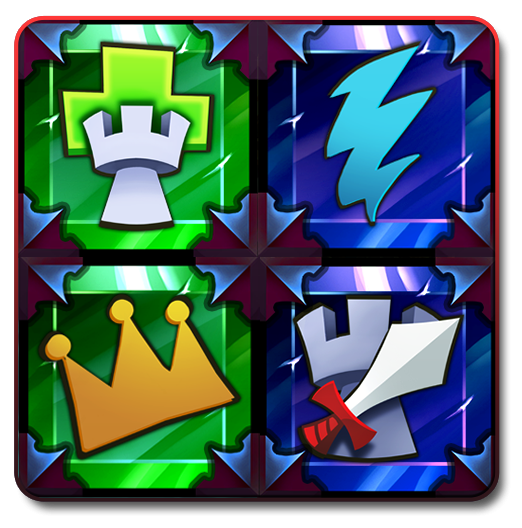 Each Defense can equip its own Defense Relic, which allows you to custom tailor each Defense to your liking. All Weapons and Armor willonly have Hero stats. 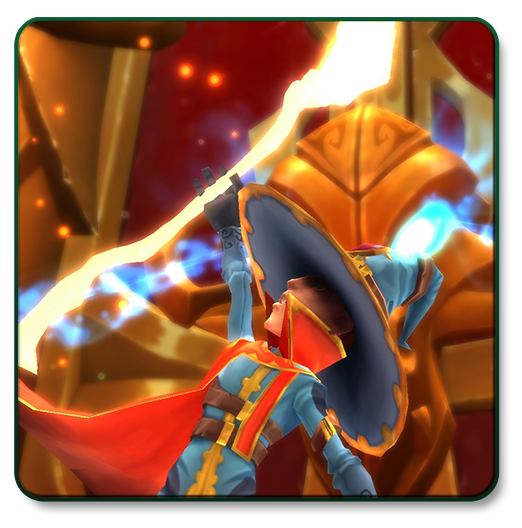 Combined with the Relics change, all Heroes are now master builders and combat experts at the same time! IPWR is now gone! Our hope is that you will now focus more on the stat gains from gear drops, upgrading, and engaging in the new Shard system. Enemies will now gain strength and resistances that scale based on your stats and from each additional player that joins in the defense. Enemies are now changing their assault strategies and will provide a more formidable threat. We changed how loot generates to provide a more steady stream of upgrades as the difficulty increases. Nightmare is over. Now is the time of CHAOS! Chaos is unpredictable and can only be thwarted through conquering the Trials. In the Trials, the Knight Commander assigns you to a defense commensurate with your power. Survive enough Trials at a specific difficulty, and you will accumulate the experience, gear, and resources needed for the Knight Commander to deploy you on even more dangerous fronts. If certain Trials prove to be too much initially, you can perfect your strategies by practicing on any map at any difficulty. Remember, though, that the Trials are the only path to glory, gear, and gold (among other valuables). Goodbye Passives and Skill Spheres; hello Shards! Shards are upgradeable artifacts that slot into your Defense Relics, Armor, and Weapons. Shards give you extra buffs, bonuses and sometimes even new functionality! Most Shards can be moved between gear. No more leaving your Passives behind when you find an upgrade! 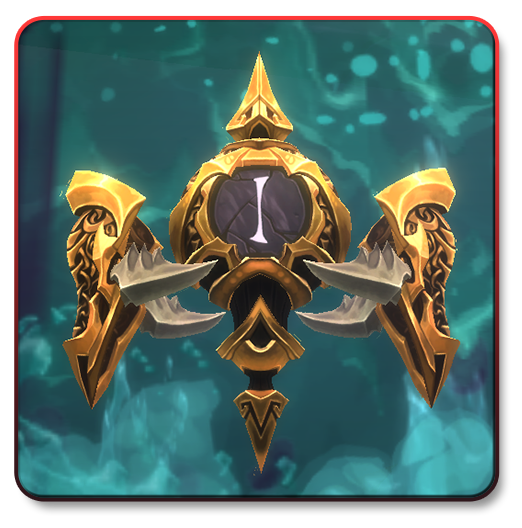 Defense Relics can hold up to 3 Shards and can only equip Defense Shards. Armor and Weapons can hold up to 2 Shards and can only equip Hero Shards. Shards drop in Victory Chests. 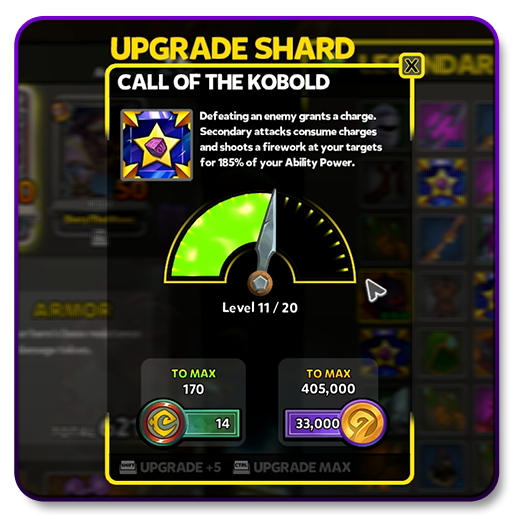 Shards can be upgraded directly from the all-new Inventory to further augment your dominance on the battlefield. Ascension: Go Beyond Level 50! With this update, heroes at the level cap will generate account-wide Ascension XP that accrues towards Ascension Points. Ascension Points are invested on a per-hero basis in Ascension Powers that bestow additional bonuses and augmentations. Some Ascension Powers are universal for all heroes; some are unique to each hero. Harder challenges award greater sums of Ascension XP. Multiple Level 50 heroes in your Hero Deck will not grant additional XP. 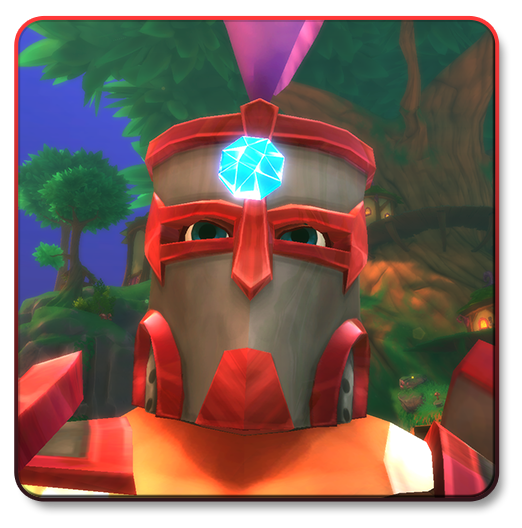 Now you can build powerful defenses AND be a fearsome combatant at the same time! All Relics are now Defense Relics and will roll with up to three Defense stats. Armor and Weapons will roll with up to two Hero stats. Heroes can now customize each of their defenses’ strengths individually by attaching a Defense Relic to them. Defense Speed is back as a stat! 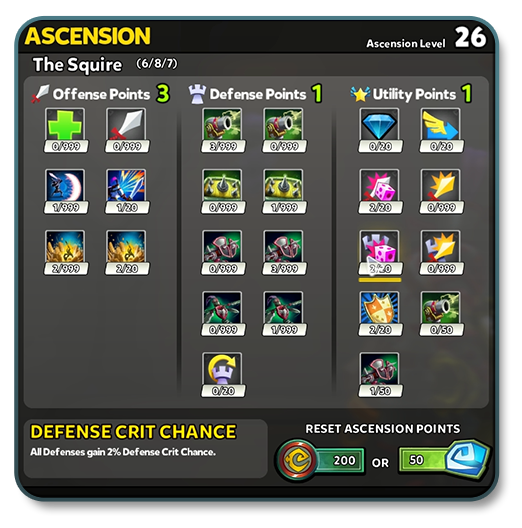 Defense Range is now available as Shards and as Ascension Powers. Two new Relics are available: Orbs and Marks. Orbs are for Defense Speed builds, and Marks are for Defense Crit Power builds. The Siege Roller was just the beginning. Whatever horrors Chaos brings, rest assured that they will push you to experiment, adapt, and overcome. 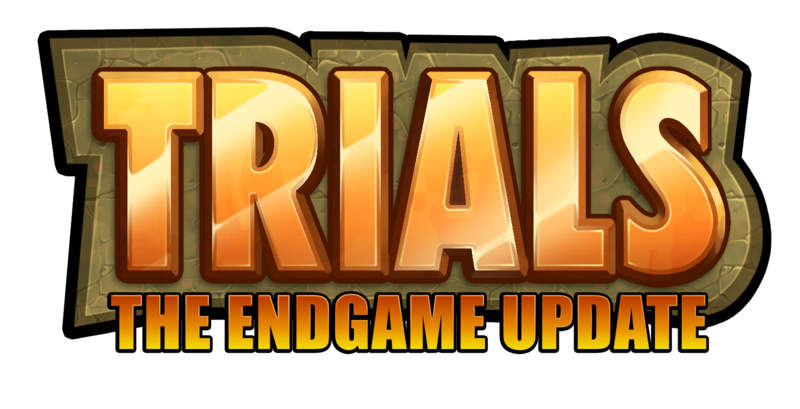 You will need to achieve perfect hero/defense unity to best what awaits you in the Trials. 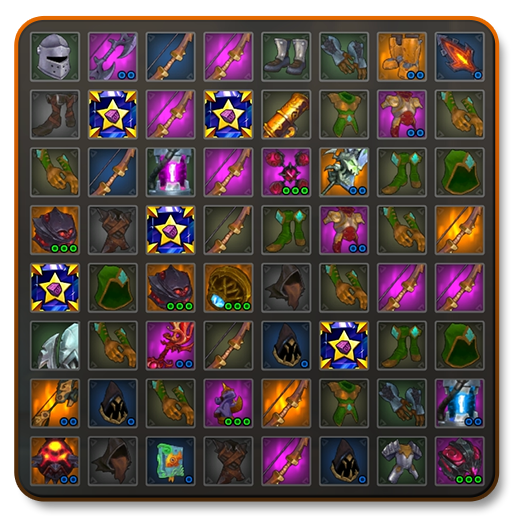 Everyone (and we mean everyone) is getting a brand-new inventory UI! 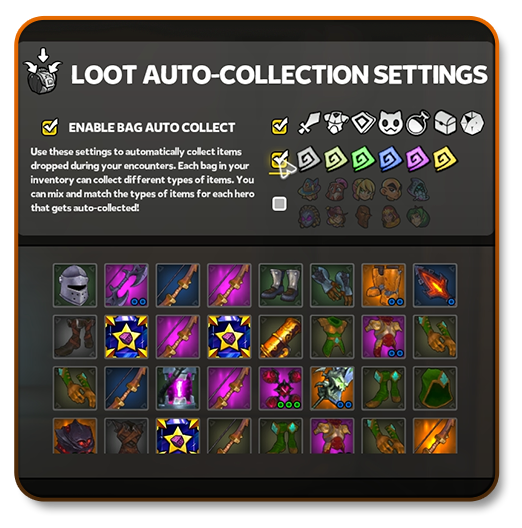 We’ve streamlined the loot management process by putting more stuff in fewer bags, consolidating item management to a single UI, and bringing hero and item management under one roof. 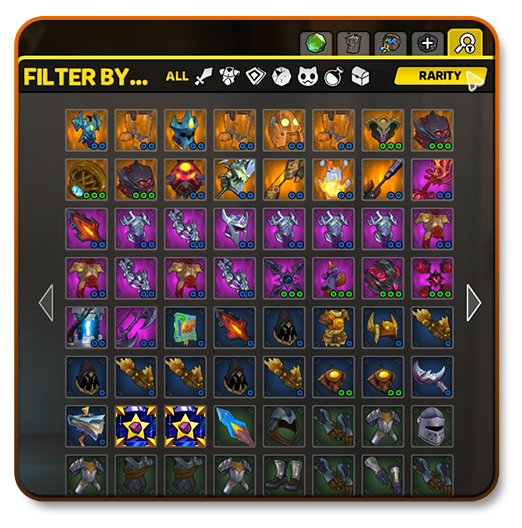 Additionally, we expanded the item sorting and management options to empower you to interact with, compare, and save/sell loot more easily, efficiently, and expediently. Added the ability to lock items on PC and made Locking do what it should have done in the first place on PS4 (oops). Loot generation has been revamped, reworked and revised. The new system will help you find more upgrades more often. iPWR has been removed. We hope that players will enjoy the new feeling of focusing on our new item systems and stats. Items still generate with stat ranges in each difficulty tier, and some stats reach a maximum cap in each difficulty. Want higher stats? Crank up the difficulty! Now you can enhance your loot (and Shards) without leaving your Inventory (or putting on pants)! Also, no more silly “put 5 pieces of loot in” nonsense. Just upgrade with Gold or Defender Medals! Every Ability and Defense has been completely rebalanced, and these changes are more fundamental than just a numbers update. Each Defense now has its own stats, and many have undergone changes that alter their fundamentals so the entire defensive playing field is very different. Rather than provide a before-and-after stat difference (which would be a bit misleading and very messy due to every defense being modified in several ways), below is a summarized list of the major changes to each hero’s defensive kit. This will include information such as changes to defense lineup, changes to defense roles, and other major high level changes to gameplay. Adjusted all Hero Damage, Critical Damage and Ability Power scaling. Adjusted all Defensive Stat scaling across all Defenses. Blockade towers aggro levels are now equalized. Abyss Lord’s Colossus has a slightly higher aggro value. All normal tower aggro levels reduced to Flamethrower levels. Traps and Auras remain unchanged. 2-Spread and 4-Spread firing solution weapons are disabled from spawning. The only firing solutions are Single, Triple, Penta, Burst Shot, and Scatter Shot. Improved handling when in the air on all Heroes to closer match the Gunwitch. Balanced all Hero swing information to closer match the Squire swings (results in a substantial Monk melee DPS increase). Charge attacks now deal more damage. Revised basic attack values to improve DPS slightly. Removed AoE effect from secondary attacks. Flameburst Tower has been replaced by Flamethrower Tower. 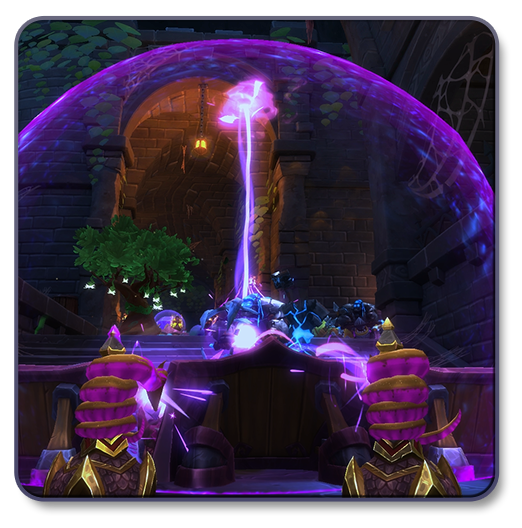 Arcane Barrier now maintains collision when in its deactivated state. Arcane Barrier DU cost increased from 20 to 30. Earthshatter DU cost increased from 50 to 80. Apprentice Flameburst Tower Challenge/Achievement now relies on Flamethrower Tower. Revised core stats to match new melee hero scaling. Reworked Blessing to provide damage reduction instead of an armor buff and updated the description. Revised slow and damage values on Powder Toss. Adjusted Starfall’s damage and Corruption cost. Moss Hornet’s Nest spawns an additional hornet and gains additional Hornet movement speed in Corrupt Form. Slime Pit’s oil applied by Corruption can now be ignited. Anti Gravity Bots, Death From Above and Proton Charge now only scale with Ability Power. Proton Charge heat consumption doubled. Rebalanced heat dissipation values of certain Canister types to be more viable. Reduced secondary attack charge time to better match the audio and VFX. Mortar weapon types now properly do AoE damage. Cleaned up Weapon Manufacturer inspection tooltip. Reduced Reflect Beam DU from 60 to 30 for two nodes, with an additional 10 per node. Removed Hero Damage scaling on abilities. Increased/added Ability Power scaling on abilities. Twice the Price activation cost increased from 60 to 80. Book Drop Broom Power cost increased from 30 to 40. Broom Storm cost increased from 50 to 60. Hero Health refactored to be slightly closer to Squire. Damage resistance decreased slightly to fall in line with other melee heroes. Inflame no longer makes you take more damage while activated. Oil Geyser can now properly combo with fire effects to ignite enemies. Added a Fissure of Embermount 30 DU Cost. Reduced Maw of the Earth Drake DU Cost from 80 to 60. Lightning Aura is now Flame Aura. 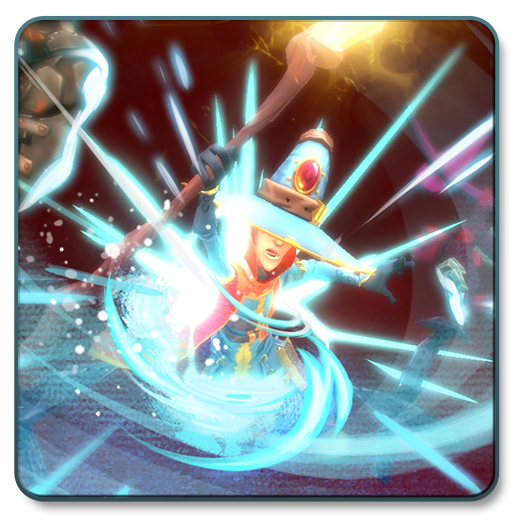 Serenity Aura has been removed and has had some effects combined with Boost Aura. Boost Aura now can equip all Serenity Aura shards but does not heal heroes standing within. Lightning Strikes Aura has been added as a base tower at 40 DU. New weapons spawned for Monk will come with one of the new firing solutions (does not affect pre-existing weapons). Lightning Aura Challenge/Achievement now relies on Lightning Strikes Aura. Revised core stats and base health to match new melee hero scaling. All secondary attack firing solutions provide more consistent DPS. Reduced Dark Torment’s DoT and Tower duration. All ability costs revised and Serpent’s Coil now costs 20 DU. Increased arc on Viper’s Fangs and updated decal to show new size. Adjusted ability, hero damage scaling, and base stats to match new melee hero scaling. Reduced mana cost of Sword Beam from 25 to 20. Balanced Light and Heavy damage multipliers to closer match Medium. Increased Training Dummy DU from 20 to 30. We’re reducing the maximum number of Siege Roller spawns. This applies to both solo and multiplayer matches. Siege Roller rockets can no longer damage the core. The Siege Roller must hit the core with the roller to hurt it. Siege Roller can now be stunned with diminishing returns based on the number of players. The hitbox on the weak point is being adjusted so that melee heroes and certain defenses can hit it more easily. Ogre melee range reduced. 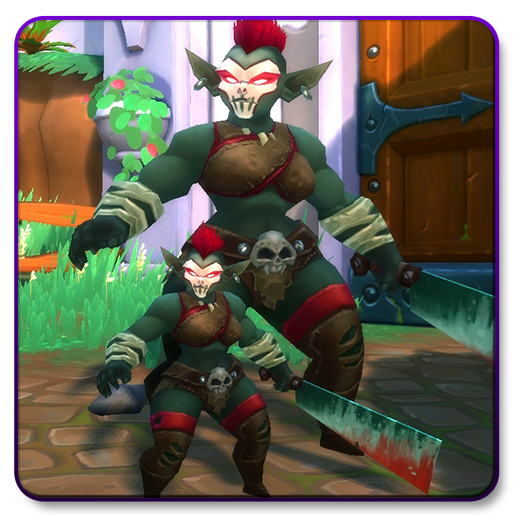 This change makes Ogres slightly harder to kite and less likely to miss defenses placed on slopes. Ogre punches are slightly quicker. Special enemies’ HP / Damage increased substantially to match closer to Ogre category. All special enemies should now present a threat (even Griblok). Tenacity has been rebalanced for them as well. Most enemies have 50% Tenacity. Some have less (Gnash, Lady Orc Berserker). Some have more (Griblok, Tuskar, generic melee meatbags). Rebalanced Campaign to account for all of these changes. We made it slightly harder overall based on your feedback. Updated the Campaign Quest rewards to reflect our new loot changes. Crit chances now display as percentages. Fixed all of the Passive and Skill Sphere bugs by removing Passives and Skill Spheres from the game. Fixed all of the old Inventory bugs. Now there are new Inventory bugs to discover! Yay! Honestly, there are so many community-reported bugs that we fixed in this update by virtue of our system changes. Melee goblins now hit towers and cores much more reliably. Be scared. Be very scared. Demon Eye and Eye of Cthulu no longer get knocked back and fall through the world when using knockback or knockup abilities / towers. No longer can G up before the chests show up on Harbinger’s Warship. Fixed a bug where the Lavamancer was able to get stuck on Gates of Dragonfall while submerged. The Create Hero voiceover volume is now properly controlled by the Volume settings in the Options menu. Player names in the Session List will no longer stay at "999" (the default data). Slime Pits no longer glow like the sun in bright areas. Tower base and top are now unlit meaning their lighting will look more even across the board. Fixed collision issues in Dragonfall Sewers. Fixed collision issues in the Ramparts. Okay, we fixed collision issues on all of the maps. Quick Hits: What Happened To…? We converted most of our old Skill Spheres into Shards. Some Skill Spheres were turned into Ascension Powers. 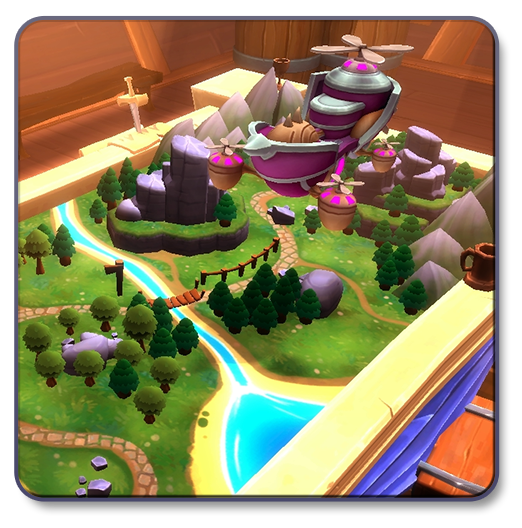 Some Skill Spheres were removed from the game. Those who’ve purchased Skill Spheres with either Gold or Defender Medals received a Gold refund. 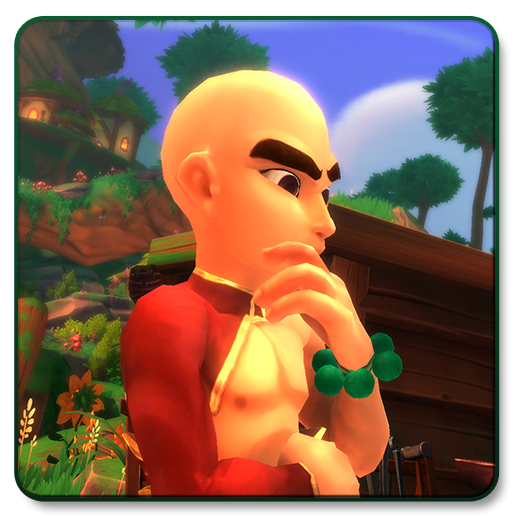 Our goal is to make sure that your choice to invest in your hero’s power is translated over into this new system -- you’ll need all the Gold you can get to upgrade your Shards and your Loot. All gold and Defender Medals spent on Spheres will be reimbursed based on a calculated conversion ratio. For this compensation only, every Campaign quest completed will give players 2 Standard Shards per quest. 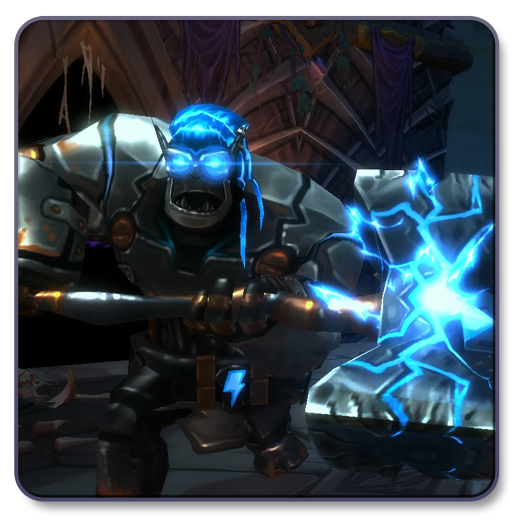 Players who have completed all Campaign quests prior to this update will receive a maximum of 36 Standard Shards. Passive have been changed into Shard Slots on gear. Many of the bonuses previously offered by Passives can now be found in Shards. Others can be found as Ascension Powers. A select few item-specific passives in this update (those on the Terraria weapons) have turned into special LOCKED shards that come with the weapon and cannot be removed. Some Passive effects were lost along the way (the flu hit really hard this year) and will possibly be added in at a later date. Others were removed or reworked. The previous Stat Allocation System is retired. You will be able to find many similar options in the Ascension system and level them to the MAX. It’s gone to make room for better things. Bags were consolidated to fit more items in fewer bags. Converting to this system has been constructed to ensure that you will receive the same if not more item slots when you log in for the first time. Most Passives turned into Shard Slots; some weapons kept their unique passive as a locked Shard. Relics are now used for Defense stats. Weapons & Armor are now used for Hero stats. Medallions and Totems will retain their primary stats and gain a random secondary and tertiary stat. Rings will be rerolled into different Relics with different defense stats and will no longer exist in the game. All Weapons & Armor have been rerolled with new hero stats. Loot XP Boosters and Wyvern Tokens are now gone. We didn't want players to immediately shortcut to owning Chaos V weapons with Souls when the update launched, so for now, you can only buy the Campaign and Chaos I versions of the Terraria weapons. We're still finalizing our plan on how players can acquire later Chaos versions of the Terraria weapons. The only guarantee in Chaos is your doom!!! We might re-visit these in the future. Will remain in game as a fun way to earn Defender Medals. For the time being they will only be at Campaign Hard difficulty. Will these be updated? Only the shadow knows… and Jason because he sets the schedule. Onslaught is finally taking the rest we’ve been talking about. In the future, we have plans for an Onslaught revamp or for a new system to take its place. It shall be reborn! Daily Map Bonuses have been removed. The My Heroes UI on the Pause Screen has been removed. The Forge now links to the new Inventory interface. Titles and Collections have been moved to the Pause Screen. Keybinds may have been reset due to changes. Controller is not supported on all user interfaces. We’re working on it! Some Incursion weapons and their respective passives/Shards have been removed in this patch and will be re-introduced at a later date. Volcano tower does not get increased attack speed from Eruption anymore. Ramster Gambit Talent only gives 3 range per talent point (should be higher). Tooltips display improperly in the Scavenger UI. Frostbite Slow Talent displays as negative (harmful) on Inspect. The inspect tooltip of the Frostbite Tower says the slow gets worse as you upgrade it more. This is visual only as the slow does get stronger as you upgrade. Whenever the Cybork stuns a chain of EV nodes, only 1 node in the chain will have the stun VFX. The arc that the arcane volley projectiles take to their target is a lot higher than intended. If you’re having continued odd game problems, validate the integrity of the game cache via Steam. PS4: The Equip/Unequip context icon doesn't update after you equip or unequip a pet in the Petrinarian UI. PS4: Various navigation issues on the PS4 costume shop. Magic and physical resists have been removed from the game, but they are still on pets. Please reroll them using your millions of saved pet reroll items. Worm Scarf is the best shard in the game and is totally not broken right now.